Dementia has become the fate worse than death that haunts the imagination of Western societies. It is the price we pay for our increasing longevity: fewer than one person in a hundred develops the disease before 70, but after 80, that chance reduces to one in six, at best. We fear it because, in an age with diminished faith in the continuity of the self beyond death, dementia seems to undermine the self before we even die. Autonomy, agency, independence, dignity—all these things we have struggled to obtain since earliest childhood are gradually lost. 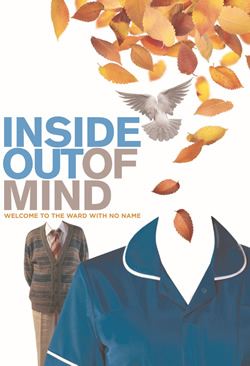 ‘Inside Out of Mind’ is a play that reflects and is inspired by the 600,000 word ethnographic research project – ‘Challenging Care: The role and experience of Health Care Assistants in NHS Dementia Wards’ prepared by Justine Schneider, Kezia Scales, Simon Bailey and Joanne Lloyd. The project would not have been possible without an organizational interest in improving the experience of staff, nor without individual wards prepared to expose themselves to close and prolonged scrutiny. But that description, important as it is, cannot convey the power of the theatrical experience that has resulted from this long collaboration. 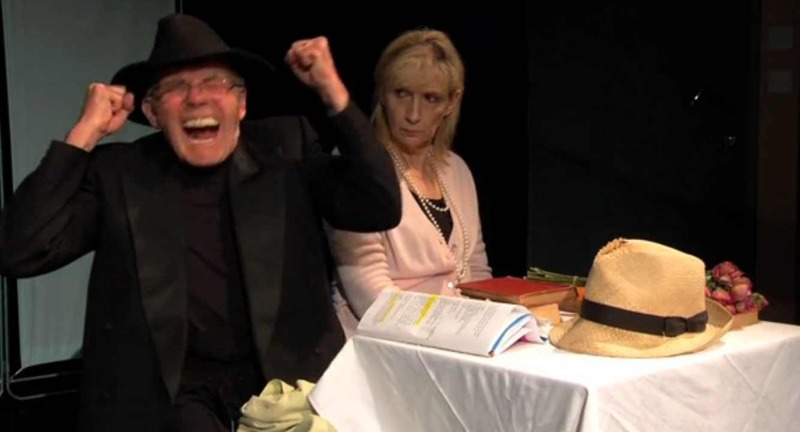 The four-act play traces 24 hours in the life of ‘The Ward With No Name’, where people suffering acute forms of dementia spend the final months or years of their lives in a kaleidoscope of different states of mind. There’s anger, violence and fear, but tenderness and moments of joy too. The steps of the waltz remain in the feet though knowledge of your daughter has long faded. You can still, sometimes, recognize goodness and love in a stranger’s face. In a simple but brilliant touch, the shift changes sees the actors who have played nurses and care staff through the night become patients in the day, and vice versa. What in another play would simply be a way to get 9 actors to play 18 characters enacts the mental and social precarity shared by all human beings. As one character says, in the end, it doesn’t matter how professionally brilliant you once were. There is more than medical truth here. The play makes effortless use of the resources of contemporary theatre—there must be thousands of sound cues alone—to create an experience that is, by turns, moving, distressing, confusing and enlightening. I’ve often felt uncomfortable watching performance that aims to represent disability, infirmity and mental illness: too often, it has struggled to get beyond the surface, and the surface, which is what shocks those who are well, is precisely not what matters in these fundamentally human experiences. But the performers in Inside Out of Mind never seemed to be aping the people they represented on stage. In one of the exchanges during the post-show discussion between actors and audience, a young performer spoke of the challenge of trying to understand a character so far from their own experience. But yesterday morning, when I saw the show, most of the audience was composed of nurses, care staff and others with everyday, personal experience of living alongside if not with dementia. It was impressive to feel the wave of recognition—and the appreciation at the validation of their experience—from those contemporary Cinderellas, whose work and commitment would, in a better society, be seen very differently. Inside Out of Mind deals with the arse end of human experience, sometimes literally. The play has no famous names. The text draws on people’s actual words, noted by researchers. It has been largely funded by education and health resources: the programme proudly bears the logo of the NHS where in another place there would be the name of a millionaire or an oil company. It’s only on for two weeks, in a small provincial arts centre, though everyone hopes that there might be a tour or at least a transfer to London. There will be those who believe that nothing produced in this way can be anything but worthy and dull or—in the ultimate insult that some in the arts world reserve for what they neither value nor understand—instrumentalised art. They could not be more wrong. Inside Out of Mind is a memorable, clever and moving theatre performance, enjoyable even its hardest moments,. What it achieves in developing understanding of dementia and dementia services it achieves because it is excellent theatre. Inside Out of Mind is being performed at Lakeside Arts Centre this week and next. If you live in or near Nottingham, make an effort to see it. If you don’t, just make a bigger one. PS ‘There’s no insurance against life’ is one of many memorable lines you come away with.